Foveon Inc., a technology leader in high-quality digital image capture products, announced during PMA that a new Polaroid brand digital camera will incorporate the 4.5 megapixel Foveon X3 direct image sensor. The camera is the world's first point-and-shoot digital camera to incorporate X3 technology. Foveon X3 direct image sensors are the only image sensors that directly capture color in three layers, just like color film. This results in richer colours, warmer tones, and sharper images than are available through traditional image sensors. First introduced in 2002, the X3 image sensor has only been available in a professional class digital camera. Now with the introduction of the Polaroid x530, consumers are able to enjoy the many benefits of X3 technology in an affordable full-featured point-and-shoot digital camera. 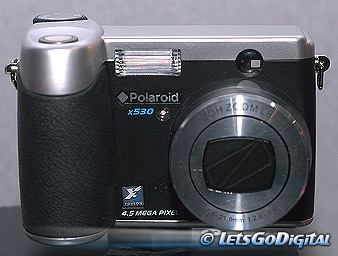 The Polaroid x530 is scheduled to ship to retailers in June 2004 with a suggested retail price of $399. The Foveon technology enables the Polaroid x530 digital camera to produce superb 8" x 10" images; the largest print size that most consumers will print. The camera takes advantage of several key features of the X3 direct image sensor including X3F raw file format image capture, video clip capture at VGA resolution, and Foveon's recently introduced X3 Fill Light software. The X3 Fill Light software tool digitally simulates the photographic method of "dodging and burning" adding extra light to shadow regions, while preserving highlight detail. It is a powerful method for simultaneously adjusting overexposed and underexposed areas of a digital image with a single simple control. According to a Foveon spokesman on the show floor: "This is not a sign that Sigma and Foveon are breaking up any cooperation between them" However, Olympus has also announced the addition of Sigma to the roster of companies supporting the Four Thirds System standard for digital SLR camera systems!